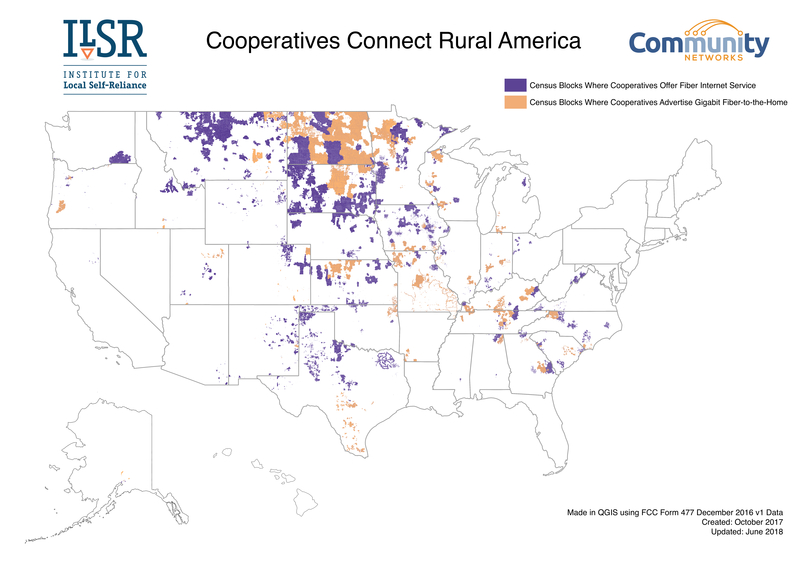 To learn more about how rural cooperatives have helped rural communities, including North Dakota and South Dakota, check out our policy brief, Cooperatives Fiberize Rural America: A Trusted Model for the Internet Era. We also had an interesting conversation during episode 288 of the Community Broadband Bits podcast with Robin Anderson from National Information Solutions Cooperative. She and Christopher discussed North Dakota’s incredible cooperative tradition. You can also check out our Rural Cooperatives Page, a one-stop-shop for everything co-op. Within the top five fastest ISPs, two are municipal networks: #1 NextLight from Longmont, Colorado, and EPB Fiber Optics from Chattanooga. Two others involve publicly owned conduit — #3 Sonic in San Francisco and #5 Allo, operating in Lincoln, Nebraska. When local communities have the opportunity to make investments to improve connectivity, they typically know what will work best for them. We’ve documented how each of these communities have improved economic development, improved Internet access for schools and other institutions, cut costs, and improved digital inclusion. Offering services directly to the public or working with a private sector partner are two options that local communities should be allowed to investigate. Most of the states that made PC Mag’s top ten fastest list still allow local communities to enter into video franchising agreements with cable companies rather than imposing statewide franchising. The fact that these states made the list proves that local authority enhances chances of success in the digital age, rather than endangers it. People who don’t live in Longmont may not know about NextLight, but it’s quickly becoming a gold standard in the West. As in the past, Chattanooga’s EPB has been held up as the vision that other communities looked toward for inspiration. As towns in Colorado consider ways to improve their Internet access, many are looking at Longmont as a model. Since the city began developing its network in 2014, they’ve strived to keep the community involved and engaged. In addition to continuing to take steps to improve service and lower rates, the network has helped reduce costs for the community and inspire incumbents to improve their services. These are only a few of the benefits the folks in Longmont enjoy and mirror the benefits in Chattanooga, Lincoln, and San Francisco. Being named the fastest is something to be proud of, but we know that the people at NextLight are also proud of their many other accomplishments that come from serving the community.